Turtuk, in Ladakh, is the town closest to Pakistan and used to be part of the Baltistan province until 1971. Even though it is considered a part of Ladakh, the ethnic Muslim population and their appearance as well as their culture is unlike anything you've encountered in Ladakh. 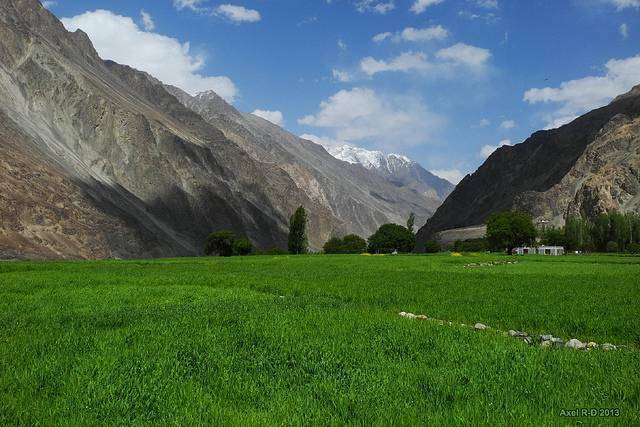 Turtuk is in Shyok valley, a part of the Nubra valley region and you'll need permit to visit Turtuk. The town is picturesque, people and warm and friendly and the experience is remarkable. Definitely enjoy the locally grown apricots in Turtuk, sweeter than anywhere else. Stay with a local family to learn about Balti culture and experience top class hospitality and get a taste of Balti cuisine.